Using the Internet to purchase your over-the-counter or prescription drugs can be easy and convenient. Online drug stores can save you money, too, especially for prescription drugs like Viagra, Cialis, Phentermine, Oxycontin, Vicodin, Prozac, Propecia, Accutane, Lexapro, Valium, Ambien, and others. You may be wondering, though, whether it is safe or legal to buy any of these drugs from an Internet drugstore. Here are some of the problems and considerations you'll need to be aware of when it comes to purchasing drugs from a pharmacy online. Most potential problems come from ordering prescription drugs - less so for over-the-counter products. In all cases, it's wise to know the risk for problems in order to avoid them. Hundreds, possibly thousands of websites, are out there telling you that you don't need a prescription or enticing you to buy your drugs from a foreign company in Canada, Mexico or another country. "Safety" includes staying on the right side of the law, so you'll want to be sure you understand what the rules are and how to purchase drugs legally from online pharmacies. One major problem with determining whether an online drugstore is safe and legal is that we are all so easily swayed by various marketing and advertising that have nothing to do with how legal or safe the pharmacy actually is. Further, we frequently see advertising on solid and respected website. Not all this advertising is credible. No matter how highly regarded a website is, it often can't control the ads found on its site because those ads may be managed by a third party. So, be aware that you will have to determine the safety and legality of ordering from any of those companies that advertise, even on highly respected sites. It's possible, too, that the most fraudulent "pharmacy" will have the most official looking website! Don't be swayed by how professional the site is or how easy it might be to order from. That is no reflection at all on its legality or safety. The drugs may be outdated. Expired drugs can be inexpensive, but they may be so old they have lost their effectiveness. You'll be wasting your money and risking your health for no therapeutic benefit or for a dangerously low amount of benefit. The drugs may be diluted. In particular, a liquid drug can be watered down. You might order a larger dose and receive a smaller one (e.g., you order 40 mg tablets and receive 20 mg, with no indication the dose is incorrect.) When you take the drug, you'll find that it doesn't have the expected effect because it's only a portion of the amount you should be taking. The drugs inside the bottle may be mislabeled or the wrong drug. You might order a high-end branded drug, but what's in the bottle might be some other cheap substance manufactured to look like the drug you ordered. Sometimes you order one drug and they send you a different product, telling you it's identical to the drug you ordered, or that they saved you money by sending you the alternative. The drugs may be counterfeit. 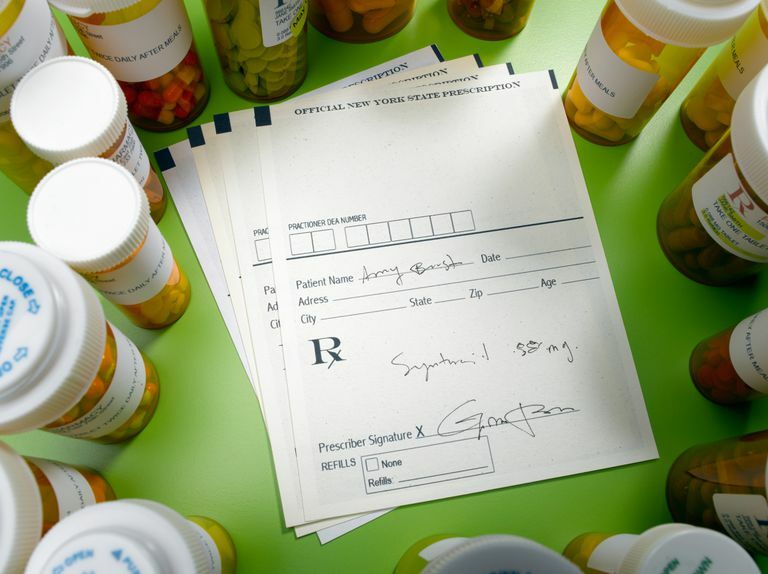 Counterfeit drugs have made their way into the legal American drug supply and are being delivered to patients every day, even from local pharmacies. Learn more about the problem of counterfeit drugs in America. The drugs may have been stored improperly. Some drugs need to be kept cold. Some lose effectiveness if they freeze. If drugs are not stored properly they will, at a minimum, lose their effectiveness. Worse, they can become dangerous. Because many of these online pharmacies are simply illegal operations, you run the risk of sharing your credit card numbers and codes with someone who will hijack them for something else. A stolen credit card can lead to identity theft. Use of your personal information can also lead to medical identity theft – a perhaps even more dangerous outcome. Since there may be no pharmacist involved in the transaction, and since you probably purchase prescription drugs or other medicines from other places, there will be no opportunity to review for drug conflicts. Even if the drug you received is the right drug, in the right dose, you will have no way of telling if it will conflict with something else you already take. A rogue online pharmacy will have no regard for your privacy. While bona fide pharmacies work hard to keep your information private, a fraudulent organization will be happy to sell your information to anyone who wants to pay for it.